“She followed me all over the damn place,” recounts the late Jack “Dracula” Baker in an interview decades after he became one of the many striking subjects of the US photographer Diane Arbus (1923-71). After a morning shoot in the bar that produced the photograph, titled Jack Dracula at a bar, New London, Conn. 1961, Arbus took her subject to lunch and spent the rest of the day with him. Although, or perhaps because, she was from a well-to-do background, Arbus liked to immerse herself in the otherworld of street urchins, nudists, drag artists, circus performers, loners on the streets of New York: “freaks”, as she sometimes called them. But according to multiple accounts, Arbus was hugely empathetic, often spending a considerable amount of time with them. She was not simply a street snapper. The Jack Dracula portrait is one of around 100 in the show, which premiered in 2016 at the Met Breuer in New York. 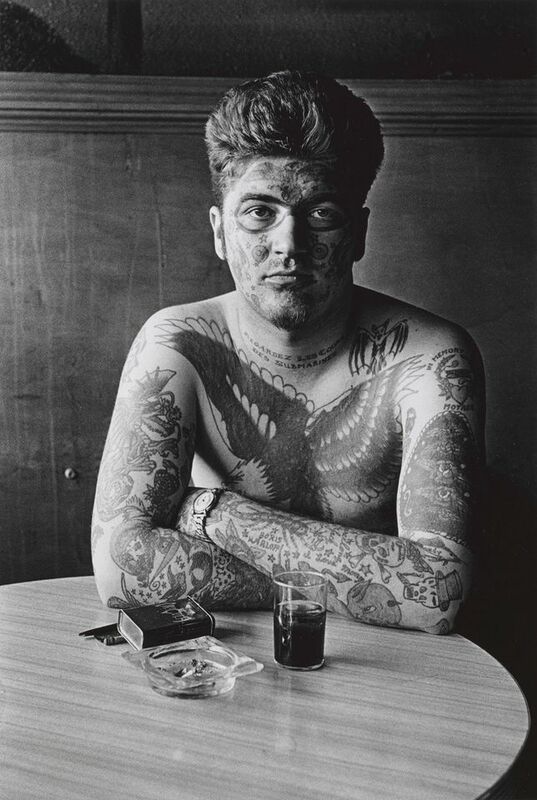 The exhibition, called In the Beginning, includes photographs from 1956 to 1962, which can be considered the beginning of Arbus’s artistic career. During the seven years covered by the show, Arbus still mostly shot using 35mm film (before she adopted the square-format that she is better known for in the early 1960s). More than half the pictures in the survey, on loan from the Diane Arbus Archive housed at the Met, have not been exhibited in Europe before. Almost as an appendix to the main show, an additional room is dedicated to Arbus's A box of ten photographs (1970), a limited edition portfolio on loan from the Victoria and Albert Museum. The series includes some of her more familiar square-format photographs, such as Identical Twins, Roselle, New Jersey, 1967 (1967) and A Jewish Giant at Home with his Parents in the Bronx, N.Y. 1970 (1970). Like its previous iteration, the exhibition is not organised thematically or chronologically but instead the prints are displayed singularly on each side of totemic columns dotted around the space, with the gallery walls left bare. The hang is the result of Rosenheim’s aspiration to get people to pay more attention to smaller works. “We have lost the ability to look at and appreciate small things,” he says. The layout was also partly inspired by the architect Lina Bo Bardi’s glass easels in the Museu de Arte de São Paulo. The hang leaves scope for “chance events, occurrences that can lead to other things,” Rosenheim adds. The main supporters of the show are Cockayne and Alexander Graham.